While we do not want to encourage anyone to remove the most productive email tool (Wordzen) from their Gmail account, we recognize there are times you may need to do so. 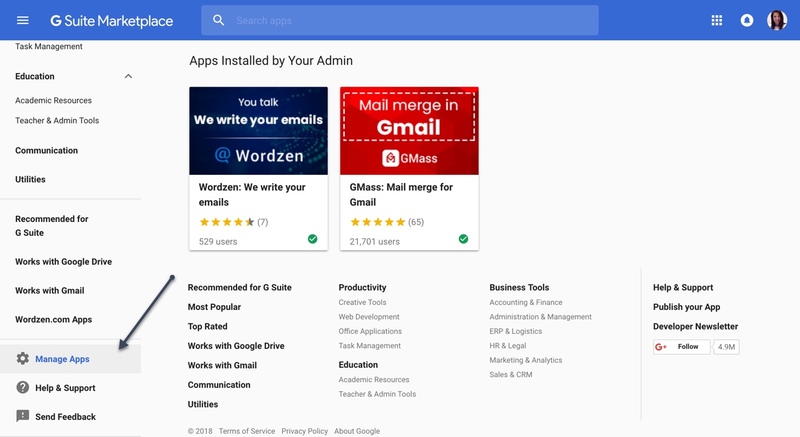 Gmail Add-ons are all removed using the same method, and as Wordzen is a Gmail Add-on, you can follow these steps to remove it or any other add-on you no longer need. Go to Gmail’s Apps Marketplace, and click Manage Apps. You’ll see all of your installed Gmail Add-ons there. 2. To remove an app, click Manage and then Remove. 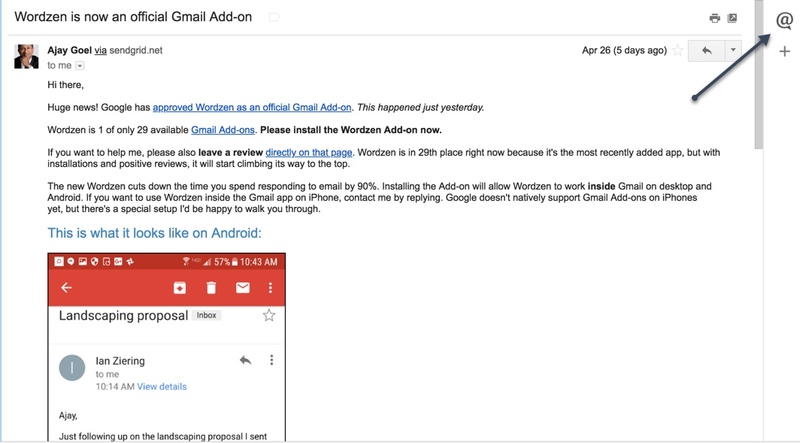 What if I have Wordzen installed as a Chrome extension (rather than a Gmail Add-on)? How do I remove that? Choose More Tools, and then in the following drop-down list, choose Extensions. You’ll see a page of all your installed Chrome extensions, each contained in its own box. Find the extension you’d like to eliminate, and click the Remove button in that extension’s box. A pop-up will appear to ask you to confirm. Again, click Remove. What is the difference between the Wordzen Add-on and the Wordzen Chrome Extension? 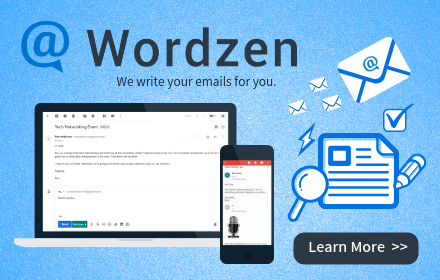 When you sign up for Wordzen as a Gmail Add-on, Wordzen works in Gmail no matter where you access it – on mobile, on your desktop, and in any browser. On your desktop, it appears as the Wordzen logo in the upper right side of the screen (In the Gmail Add-ons sidebar). 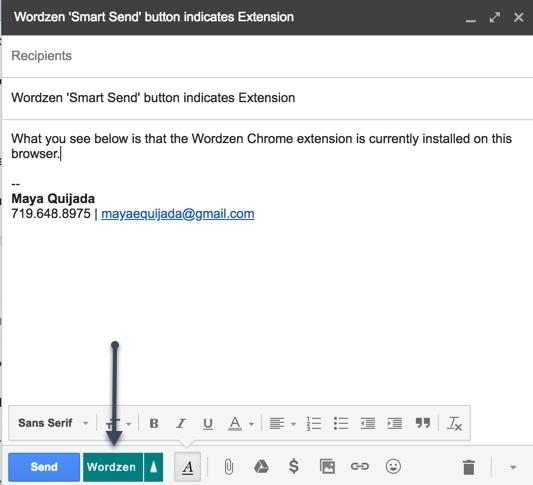 When you sign up for Wordzen as a Chrome extension, it appears in your Gmail compose window next to the Send button. We call this the Wordzen Smart Send button. P.S. Changed your mind? Want to add Wordzen back into your toolbox? Visit us here.